Institutions and brokers looking for a comprehensive allocated bullion trading platform from which they can directly access 7 of the world's major physical precious metals trading hubs, can do so through the full brokerage version of MetalDesk. 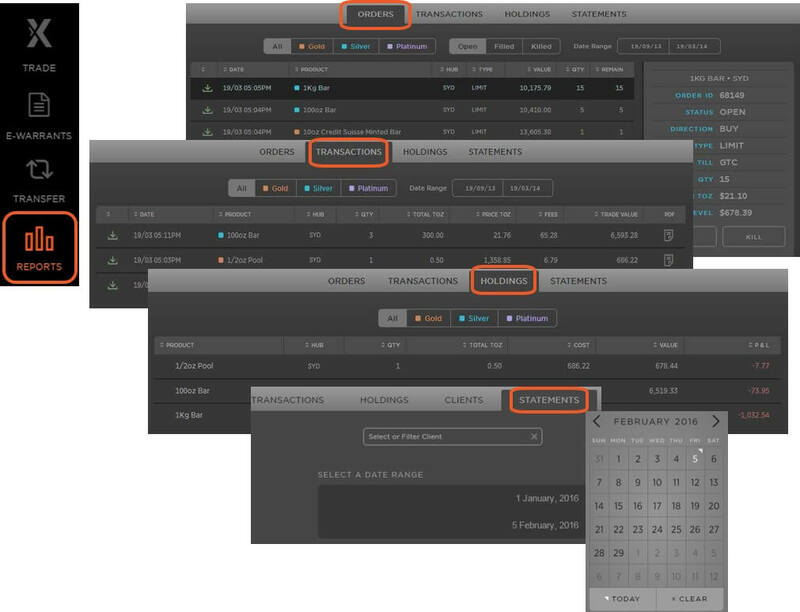 The full brokerage MetalDesk precious metals trading platform offers institutions something new and unique to complement their existing services. To-date buying physical precious metals could only be directly sourced from the various bullion markets by telephone / manual ordering and it is also impeded by the twice daily fix. Through MetalDesk you are now able to trade allocated bullion 23 hours a day globally with constant real-time regional price discovery, which allows for the possibility of inter-market arbitrage. Currently there are many concerns that the legacy precious metals markets are not only being front-run, but that the identity of the client is known, allowing traders to execute the best / most appropriate front-running strategy. 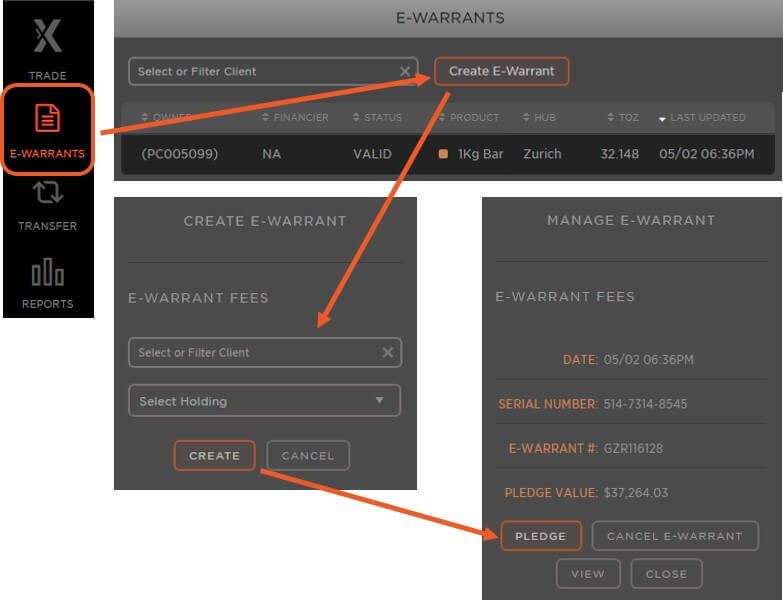 The exchange has been designed to prevent the front-running of orders and MetalDesk also allows you and your clients to place trades completely anonymously. Clients can be registered on the exchange by only a Holder Identification Number (HIN). 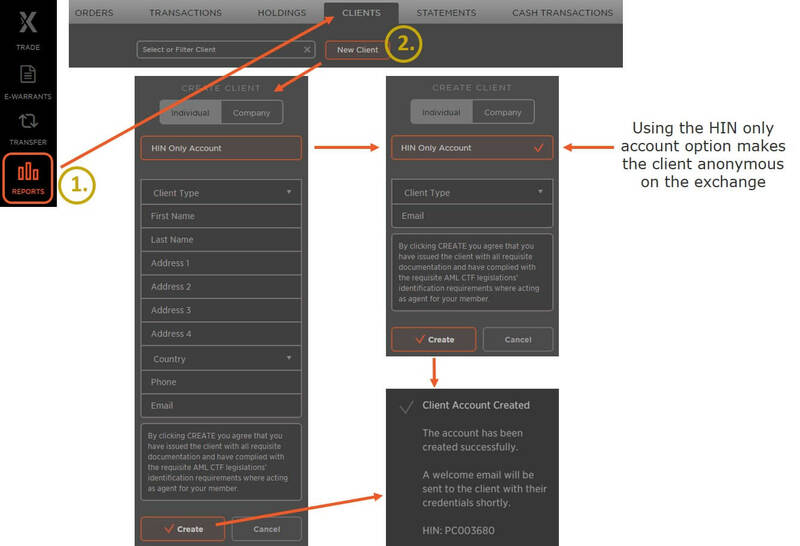 Institutions & brokers registering HIN only accounts on the exchange will be responsible for managing the client's identity on their own internal and separate CRM system. Only properly licensed institutions & brokers can use this full brokerage version as it provides the use and management of credit facilities. However, the credit line available is based on the amount of collateral deposited in the exchange's Trust account. 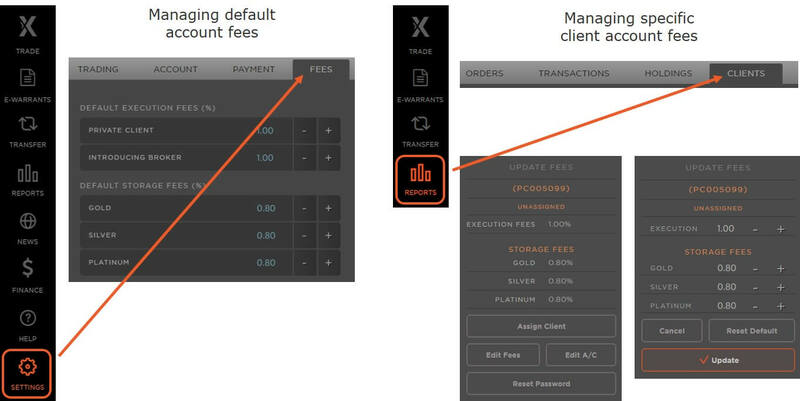 MetalDesk has two fee management windows. 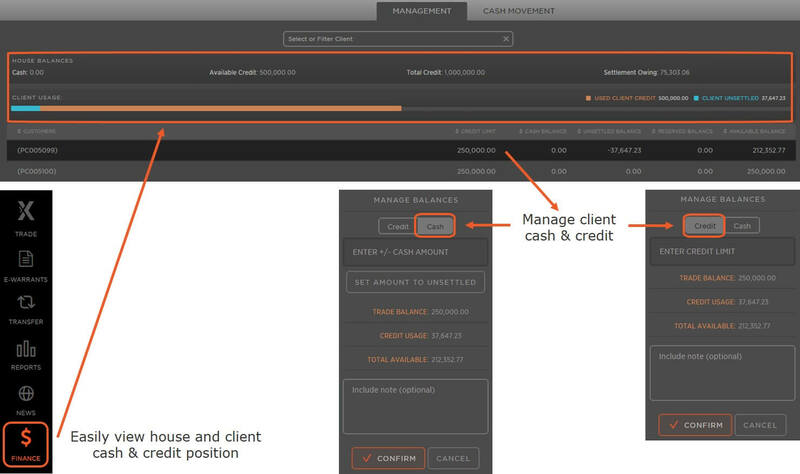 The first is for setting and managing default fees that auto-populate new client accounts. The second allows for the amending of fees for individual client accounts. 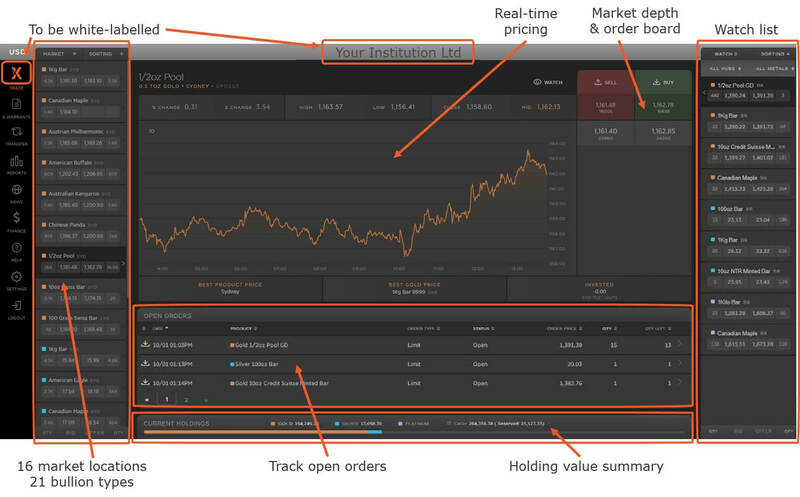 Buy & sell orders are initiated from the home screen once you have selected the bullion type you want to trade. 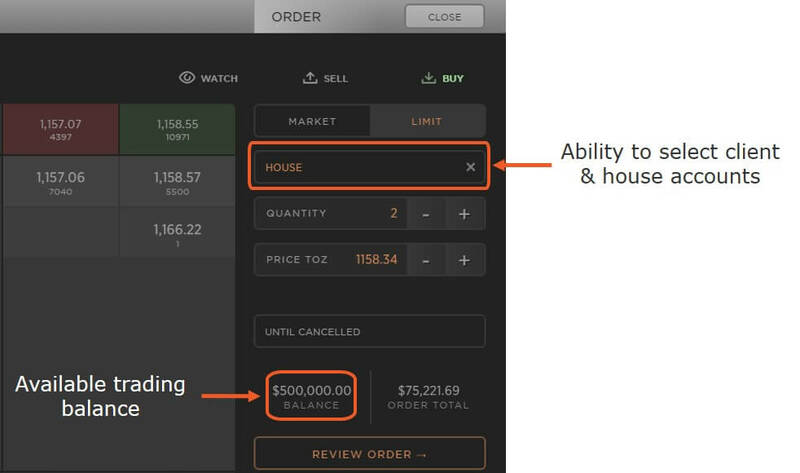 The order board gives you the option to action a trade for either the House or a client and to action the order at market or with limit. Everyone's available balance is clearly shown for each trade. Anyone holding certain restricted types of bullion products can pledge them to you as collateral for margin capital which they can then use to trade in other asset classes you offer. This gives your clients the ability to generate & release valuable trading liquidity based on their vaulted allocated bullion, which in-turn, increases your liquidity and turnover. The Allocated Bullion Exchange and the MetalDesk platform brings a revolutionary change to the physical precious metals global trading arena. Any institutions or brokers wishing to gain access to this exciting new way to trade gold, silver & platinum can easily do so (pending minimum criteria). Contact GoldVu to enquire about integrating with the ABX and to discover the new opportunities that you can bring to your clients.